Neymar has reportedly decided to try and get a transfer away from Paris Saint-Germain, telling his father to negotiate with Real Madrid, Barcelona and Manchester City. 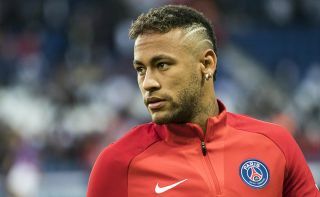 The Brazil international was something of a surprise signing by PSG last season, with the French giants triggering his release clause at Barcelona to bring him to the Parc des Princes in a world-record £200million deal, as reported at the time by the Guardian. Still, it seems Neymar wants a quick move away from PSG after a disappointing spell in which the club have not made much progress in the Champions League. This is according to Don Balon, who also mention Neymar’s personal problems with team-mate Edinson Cavani, and state he’s told his father to get in touch with Real Madrid, Barcelona and Manchester City over potential moves. The 26-year-old would be a superb signing for any of those three clubs, with Real in need of a top class replacement for Cristiano Ronaldo. Neymar to Real Madrid, Barcelona or Manchester City? City already have one of the best squads in the world, but could do with strengthening after falling behind Liverpool in the running for the Premier League title this season. Barca, meanwhile, would surely love to have Neymar back after his successful four years at the Nou Camp.